May 30, 2012 Post by : Renee RadiaNo commentsPopular link-shortening site Bitly rolled out a major redesign yesterday that caught many people off guard as they returned to work from the long weekend Tuesday. So far, reactions to the updates seem mixed, with the majority of people upset at the now seemingly-complex path to shortening links. As is the case with many website redesigns, the backlash can be harsh at first and people may label it confusing and counter-intuitive because they aren’t used to the new look. However, when it comes down to it, Bitly still does its job of shortening and tracking links effectively while adding new features that will only enhance the site’s services and uses. Bitly UpdatesThe site has coined the term “bitmark” in an effort to encourage you to think of each link as a bookmark. This goes along with another of its new updates which is improved social integration. There is now a profile feature to where your bitmarks can be saved publicly or privately, and where your connections across the web on Facebook or Twitter can see what you are reading and find interesting. With the “Your network” view, you can now see what your friends and connections are reading and saving as well. Sharing links is also easier now with options to share via Facebook, Twitter, or email. The bundles feature, introduced in 2010, has been updated so users can comment on specific bitmarks within a bundle. There is also now a Bitly iPhone app that remains consistent across all platforms so you can keep track of your links and clicks on-the-go. BacklashAs stated above, it is not uncommon for users to rebel against major changes. The biggest complaint is the complexity of shortening a link. With the old design, the URL box was front and center and very simple to use (one click and you’re good to go). With the new site, the URL box is not as easy to find, and it can be confusing between the numerous options available after you shorten your link. People aren’t interested in the complicated interface and say the functionality has disappeared. Many also don’t seem to want to use Bitly as a social bookmarking service. Lastly, the new font on the redesign leaves something to be desired. The BestThe new Bitly Chrome plugin is very helpful and so far works as desired. This is a great new feature that will make saving and shortening links much more efficient. Another useful new feature is that with each bitmark comes the ability to “Add a note” specific to that bitmark. The site encourages you to put hashtags on these notes, thus making it easier for you to search for links on a specific topic at a later time. After users adjust to the new layout and features, it will be interesting to see how the social integration of Bitly plays out. 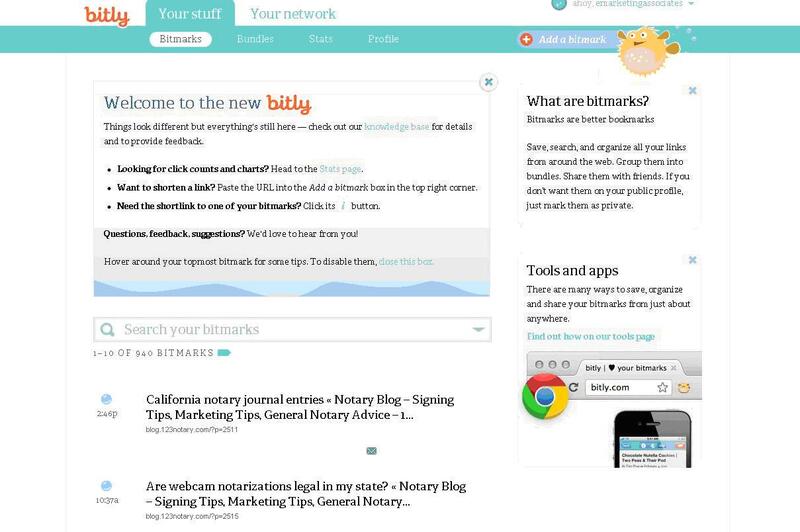 What do you think of Bitly’s redesign and its move to be more social?